You can profit from your community, by introducing different subscription plans on your website. This way, users can pay a fee to get certain functionality or status on your community. To create or manage your subscription packages, you need to access your website as administrator and then click on the AdminCP button at the top-right corner. 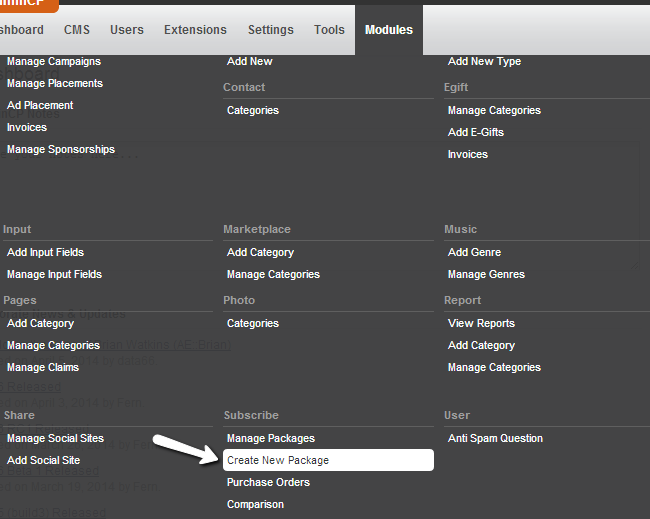 Click on the Modules tab on the main menu and then Subscribe > Create New Package. Click on the Submit button to create the subscription package. 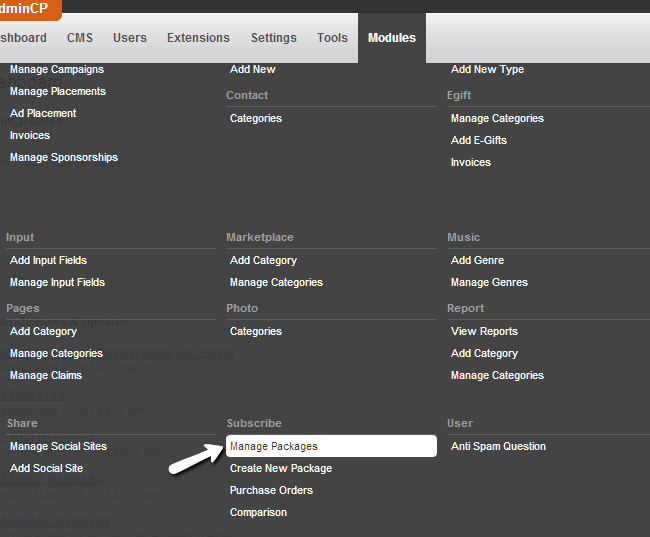 Click on the Modules tab at the main menu and then Subscribe > Manage Packages. Click on the arrow drop-down button next to the subscription package that you wish to edit and then select the Edit Package option. Set the changes that you wish to make on the subscription package and hit the Submit button to keep them. Click on the arrow drop-down button next to the subscription package that you wish to remove and then click on the Delete Package option. Hit the Submit button to keep the changes.